I recently had a dream where I saw three tidal waves. 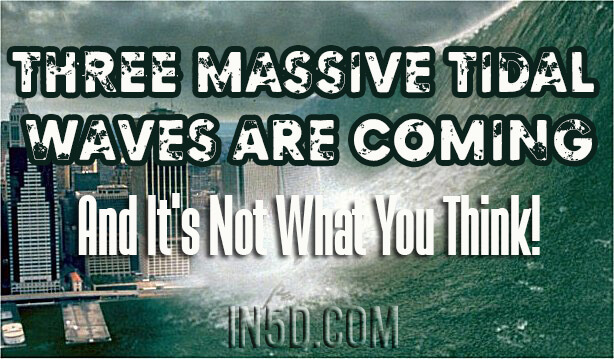 For most people, dreaming about a tidal wave can be very traumatic but in this dream, I saw it quite differently! The initial wave may be something similar to what Paul LaViolette calls the Galactic Superwave or it might be one of the cosmic wildcards that I mention in the In5D article, Beyond Imagination! The Cosmic Wildcard.